In any given year the National Park Service offers a “fee free” day or two, during which all park entrance fees are waived for the visiting public. The next installment on this tradition will take place November 9, 10, and 11, when the NPS strings three free days together in honor of the Veteran’s Day holiday. This should give the hesitant yet one more reason to visit Grand Canyon National Park during a fabulous time of year. The seasonally smaller crowds mean plenty of room in the hotels, less traffic on the trails, and more elbow room along the scenic overlooks. Don’t miss this chance to enjoy the South Rim before the arrival of winter (though check the forecast before you travel as early snow is not unheard of in November). 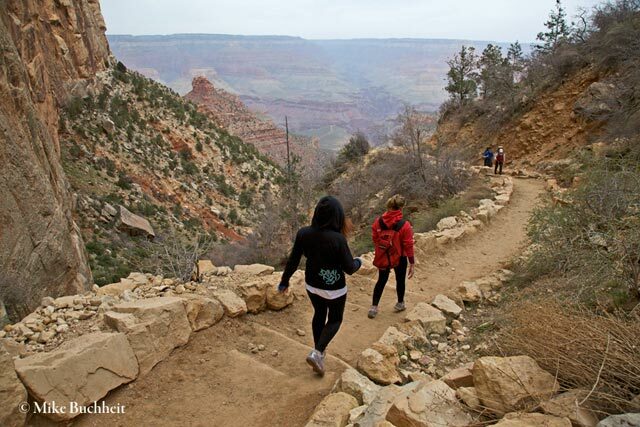 It’s hard to imagine a better way to start your holiday season than a walk in your Grand Canyon National Park.